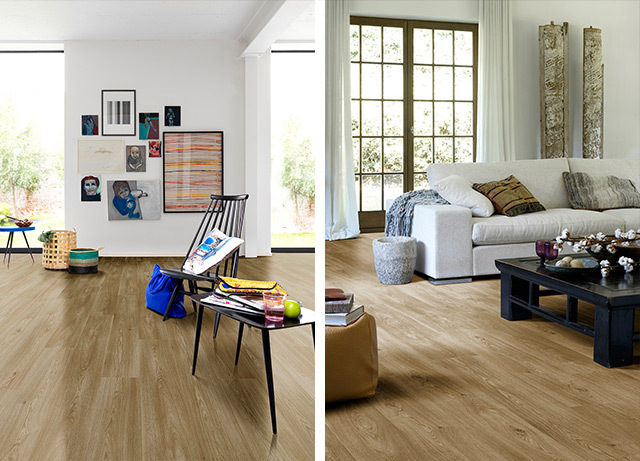 El Espartano launches its new line of vinyl tile floors, a novel solution to create more beautiful wooden floors with a natural aspect, in an incredibly fast and simple manner. 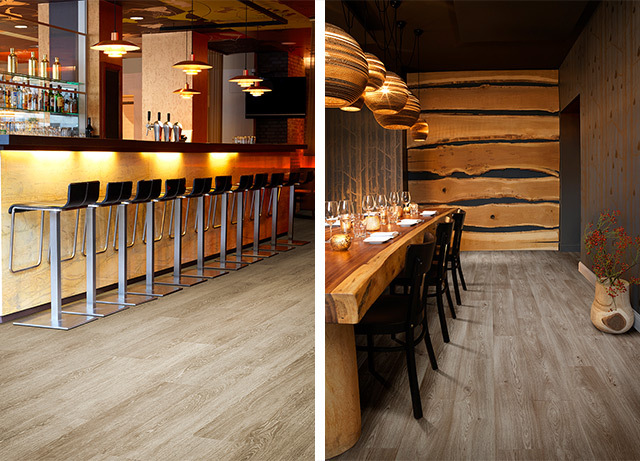 From our beginnings, El Espartano has stood out for its passion to provide its clients with the most incredible surfaces for their spaces. 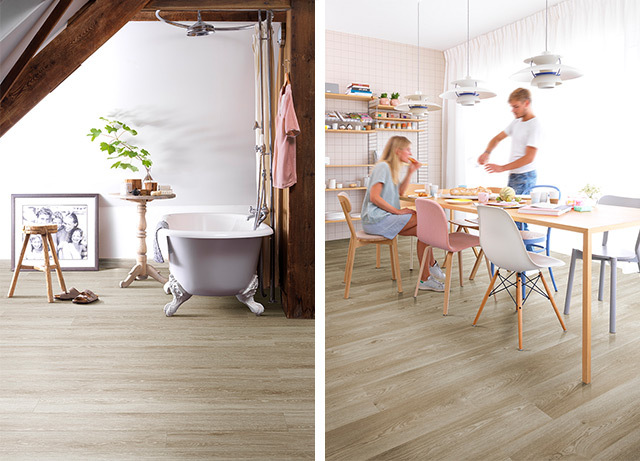 This path, which we started to follow more than 75 years ago, has led us to launch “El Espartano Flooring”, our new division aimed at providing the domestic market with the best tiles for vinyl floors, as well as the specialized services and advice for their installation. 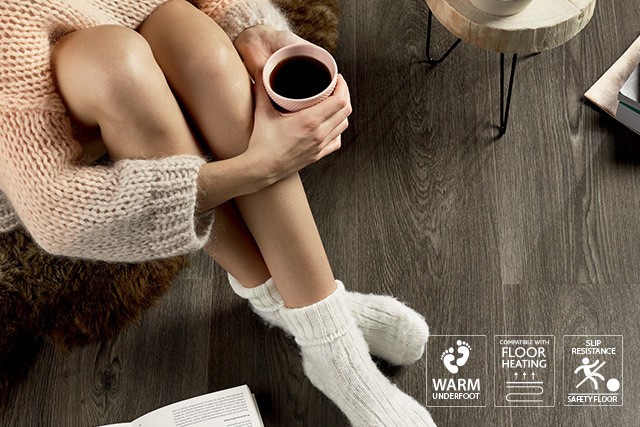 These innovative planks or tiles, also known as “Luxury Vinyl Tiles” (LVT) are manufactured in Belgium and have an aspect surprisingly similar to natural oak wood, providing any room with visual and acoustic warmth. Besides, due to their construction qualities, they represent a long-lasting solution of easy installation and minimal maintenance. 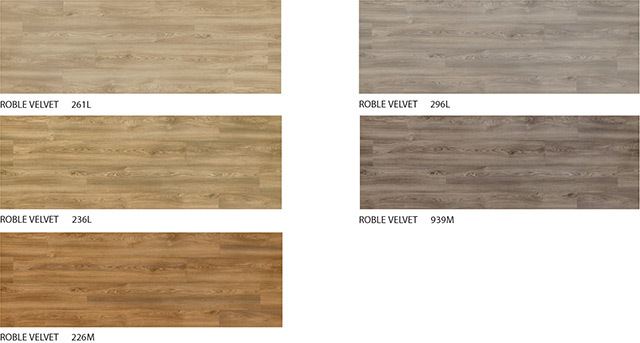 These properties transform these tiles into a unique and versatile product, apt for its use in any room of the house, from the kitchen to the bedroom, as well as in commercial premises or restaurants, hotels, offices and other high traffic spaces. 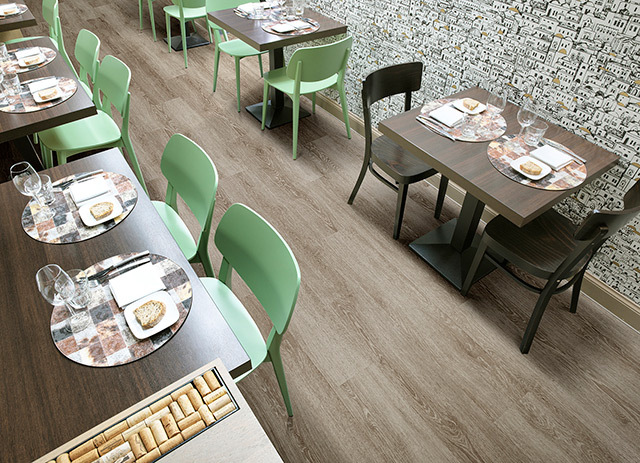 The vinyl tiles by El Espartano are a feast for the senses. They not only have a splendid appearance but are also warm and cozy. 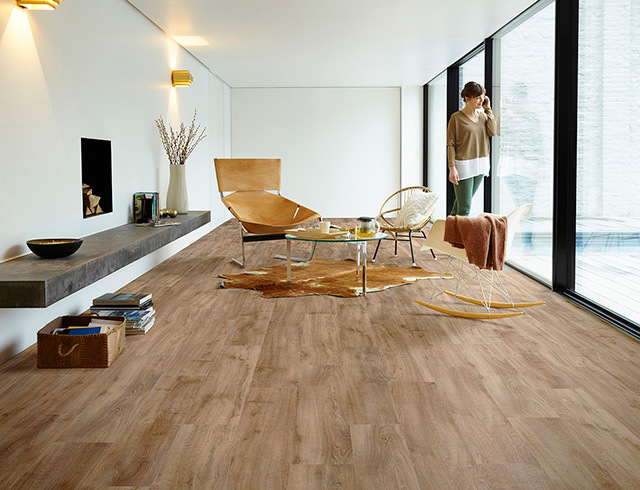 Besides, they can be installed in floors with underfloor heating systems. 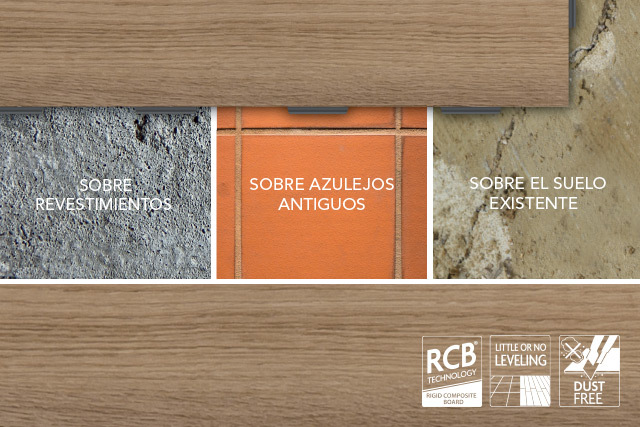 Our tiles adapt to the most diverse surfaces regardless of the little irregularities the underlying surfaces may have. 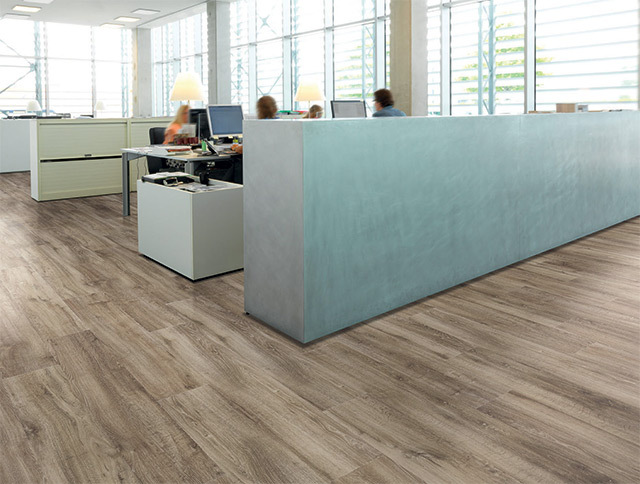 They can be installed on top of floor tiles, floor coatings, and other existing types of floors, with no need of levelling. 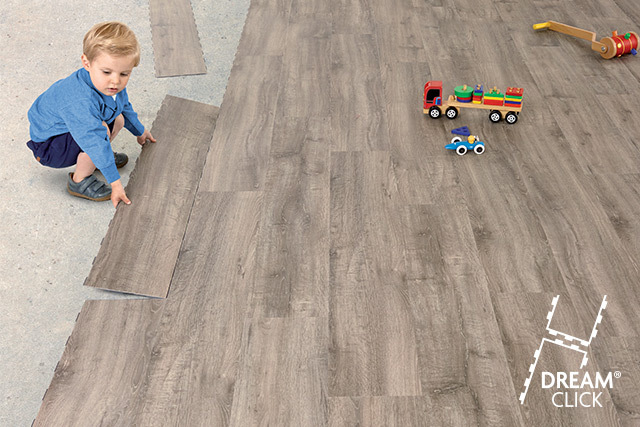 Dust and dirt-free, you only need to cut them with a cutter to the desired measure. 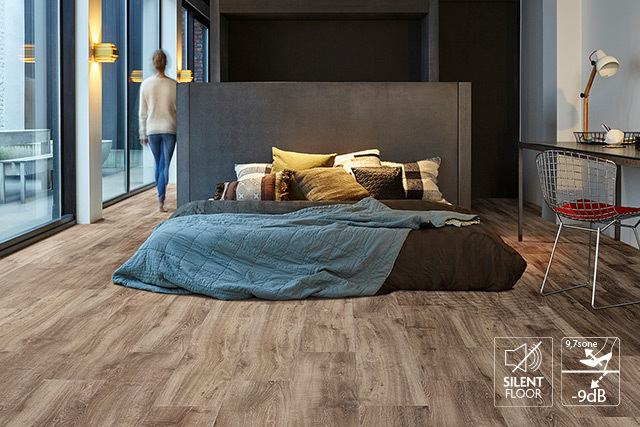 Our tiles help create quieter rooms with an exceptional sound reduction of 9dB…a 50% quieter than other LVT floors. This is both pleasant for you and for your neighbors. 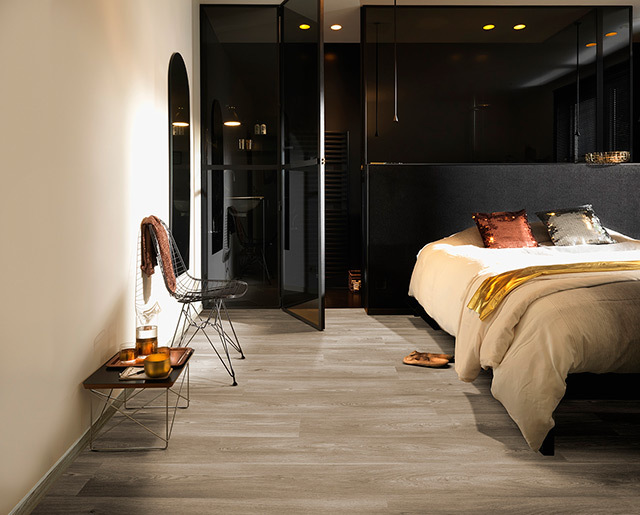 These 100% water resistant tiles are ideal for bathrooms and kitchens. 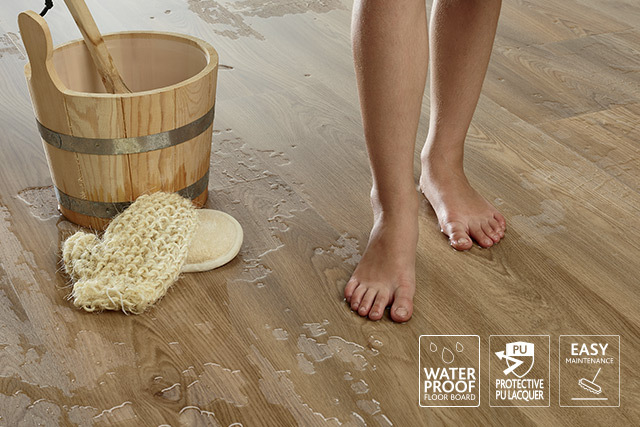 At the same time, due to their polyurethane protective coating, they are very easy to clean with a damp cloth. 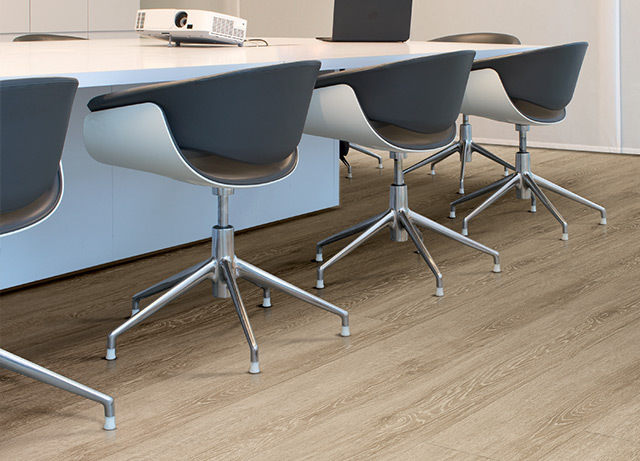 El Espartano’s vinyl tiles are 100% recyclable and are produced according to the highest manufacturing international standards in order to reduce the impact on the environment. 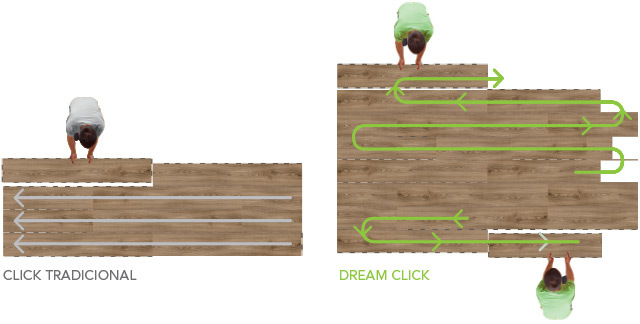 The clever DreamClick locking system allows for a quick and surprisingly simple installation. Thanks to its exclusive profile with a unique 4 sided locking system, it is no longer necessary to go to the other end of the room to start with the next row. 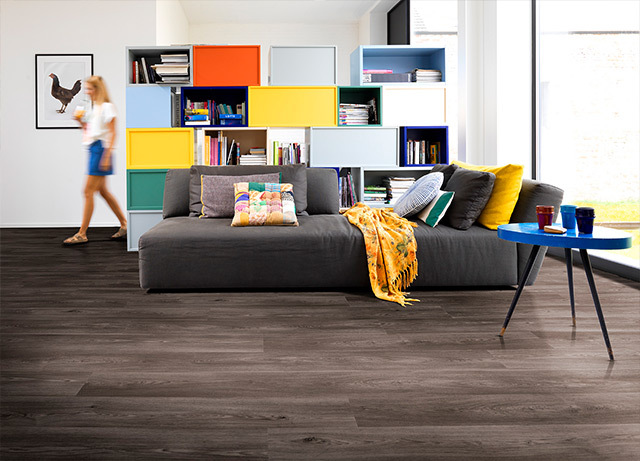 At the same time, this allows for several installers to work at the same time and your floor will be ready in record time. The 500kg/ml DreamClick locking system has more than the double of strength than other LTV locking systems and bears heavy loads and traffic. This versatile click system allows for the creation of incredible designs and patterns, even mixing diverse colors so as to obtain surprising effects. 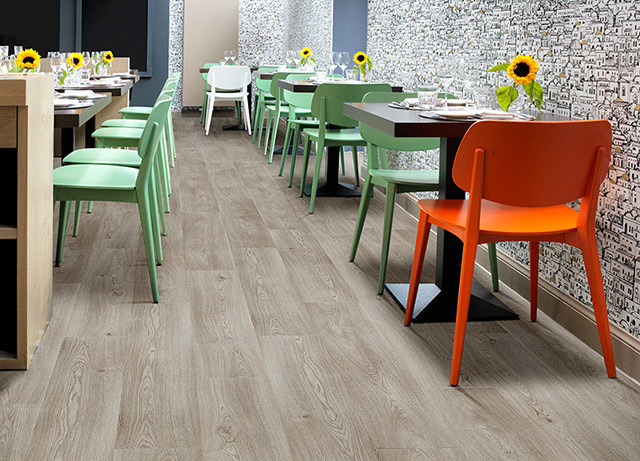 Our vinyl tiles measure 1326 x 204 mm and have a total thickness of 5 mm. They are sold in boxes of 8 units each covering a surface of 2.16 m2. Home, offices, stores, hotels, restaurants and others. For further information about this product, expert advice and prices, please contact us and we will get back to you as soon as possible.